Now nothing compares to a real tree for christmas, the scent of pine in your home is refreshing and nostalgic. But not everyone can have a real tree. Especially places of business (dropping needles, watering, fire hazard, etc). Now I’m all for the holiday season, so I recently surprised the ladies at work by decorating an artificial christmas tree in their waiting room. It was an old tree that I had in storage for a couple of years and it was in need of some major TLC. I bought new decorations, sparkles, lights, everything I could think of to give it new life in it’s new home. And that also includes the scent! (Now I don’t mean hanging pine tree air fresheners from hooks, keep those in the car) A quick trick I learned was to hide a few cinnamon scented pinecones in the branches and your artificial tree will smell like the attic no longer! Three or four will do depending on how scented you want it, you don’t want it to get overwhelming! 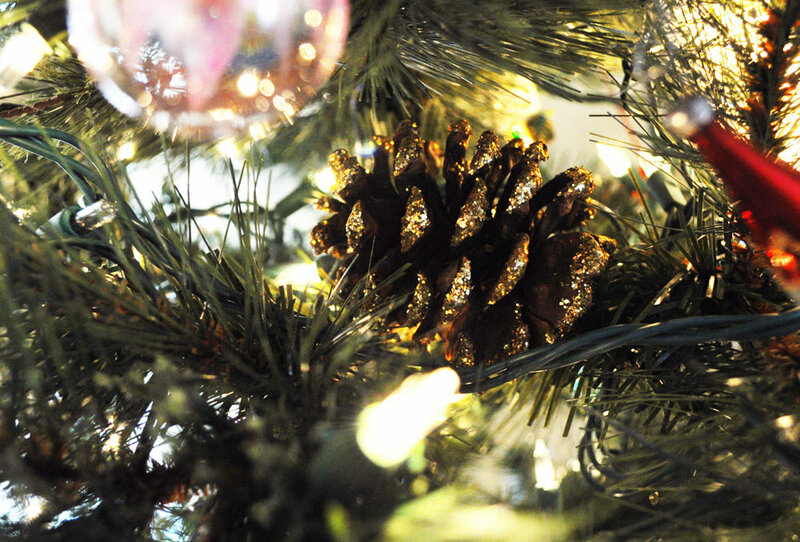 Sneak a few scented pinecones into your "fake" christmas tree! 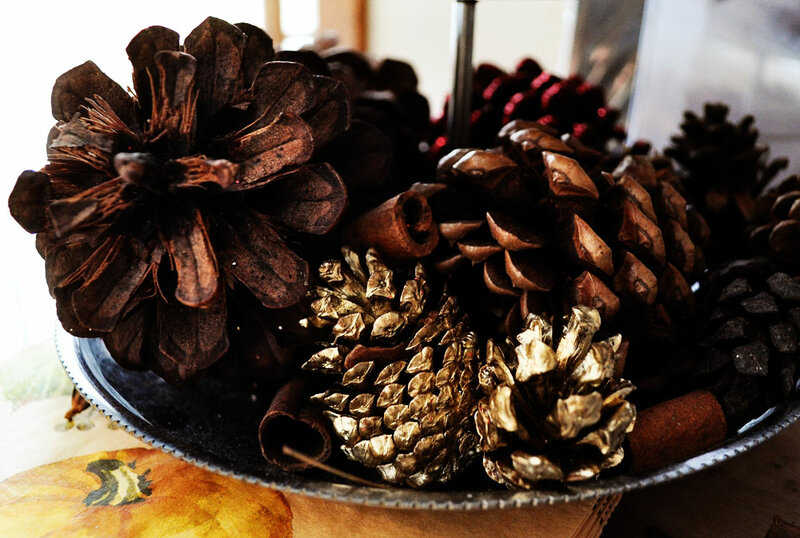 Cinnamon scented pinecones can be found at just about any craft store or big chain store, but you can also make your own. Collect some pinecones. (If you are like me you can just pick them up off the ground in front of your house!) Bake them on a tinfoiled pan at 200 degrees to harden the sap, let them cool and put in a ziplock bag with cinnamon oil and sticks. A week or so later you can take them out and glitter spray them or keep them natural.